Twenty-five years after the slaughter at Chernomen in 1371, an epic battle took place. The army of the Ottoman Sultan Bayezid the Thunderbolt routed the Crusaders’ forces. Those forces were the allied armies of Hungary, Germany, and Croatia, all led by their king, Sigismund of Luxemburg. It is the early autumn of 1396. Near the city of Nicopolis, an armed clash of two faiths would determine the future of the Second Bulgarian Empire. After this battle, the Ottomans would cement their position in Europe and a year later the Bulgarians would suffer five hundred years of horrific slavery. The Anti-Ottoman coalition would cost the life of Ivan Strazimir, the last Bulgarian Emperor. For the West, the defeat at Nicopolis would be hugely significant. For almost 50 years the old continent would not be able to make a new Crusade against the Ottomans. The Battle of Ankara in 1402 and the wars between 1419-1437 would hinder the efforts of the biggest military forces in Southeast Europe to fight each other to a permanent outcome. The appetite for a land of the Ottoman Turks was enormous. Their glare was focused on the heart of Europe. The success of the Ottomans during the last decades of the 14th century was alarming. The catholic states on the borders of the Peninsula were sincerely worried. After the fall of the main cities of Edirne, Sofia, and Plovdiv, the Ottomans were the new rulers of the eastern lands. The Battle of Chernomen drew the lands of the Macedonian despots right next to the expanding empire. The Bulgarian lands were made vassal states. The future conquest of the lands in Mizia would be devastating for the entire continent. The threat coming from the east called for drastic measures. The lull after the Hundred Year’s War also had an impact. 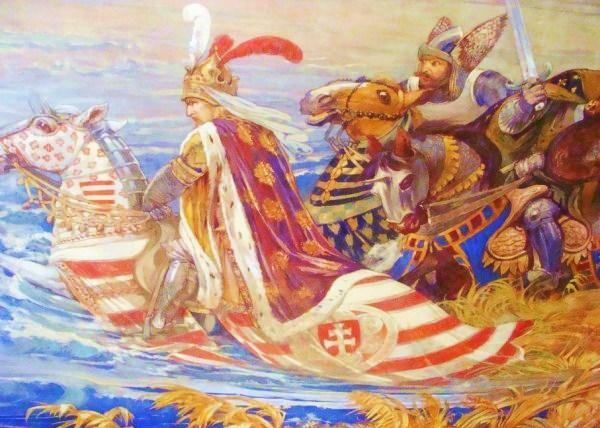 France and Burgundy decided to help the Hungarian King and gain some prestige among the neighboring countries. The truce between England and France allowed Charles VI to highlight his love for Christianity. He too sent reinforcements to the Hungarian King to aid the Crusade. The Burgundian ruler also sent a contingent, led by his own son. Venetia and Genoa too had an interest in stopping the Ottoman conquest. Their benefits were purely economics since the Ottomans were a threat to their trade agreements with the Balkans. The Hungarian King Sigismund of Luxemburg (future Emperor of The Holy Roman Empire) started organizing a Crusade against the infidels. The future of the entire continent and the Balkans depended on the outcome of the Crusade. In the year 1394, the Pope Boniface IX made an official announcement and blessing for the Holy Crusade. When it comes to numbers, the size of the army is open to debate. 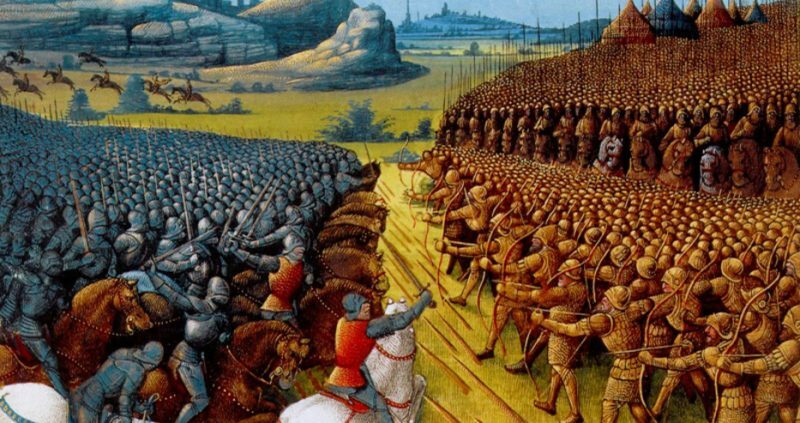 With the condition of the countries at that time, the losses of seasoned warriors during the Hundred Years War, and all other rivalries and clashes, we could safely assume the army was not enormous. Some sources would assume around 40,000-100,000, but the logistics, provisions, and expenses each country had to pay for mercenaries suggest a much smaller number. The Crusader army gathered was possibly not bigger than 15 to 17,000. Not as big as declared, yet huge for this time and place. The count of the Ottoman conquerors is also debatable. Often regarded as a countless horde, their size is rather a romantic exaggeration. After all, for their contemporary historiographers, the Ottomans were the bad guys. Hence – they just had to be incalculably numerous. Nevertheless, it is true that the army of the conquerors was one of the strongest for its time and a feared enemy, who crushed anything in their way. They were next to unstoppable, but the fact that the Balkans withstood their march for so many decades is worthy of admiration. Judging from all this, we could again calculate their numbers to more like 20-25,000, for the same reason – finances, logistics and previous clashes. And we must also not neglect the fact that part of the Sultan Bayezid’s force was engaged in Asia Minor. Also, part of the force was that of Serbian King Stefan Lazarevic, the Sultan’s brother-in-law. The movement of the armies of the allied Christian forces was accompanied with all the vanity of medieval Europe. The first months it was more like a carnival. Each lord felt obligated to give a lavish welcome to the passing Crusaders. Thus, it took them months to move through the territories, with all the hunts, celebrations, and such aristocratic activities. Three months had passed before the force united with the army of Sigismund at Buda. It was in the middle of summer, in July. Sigismund’s plan was to wait for the advancement of the Ottomans to Buda, instead of leading an attack. Yet, the western leaders, all young commanders of Knights, insisted on marching forward. With their young blood boiling as hot as the summer, they dreamed of honor and glory and declared it was cowardly to wait for the enemy. In the end, they enforced their will, and the Crusaders continued marching. After they had crossed the river Danube, the Crusaders reached the city of Vidin. There, the last remaining Bulgarian royalty quickly united with them. Before that he had been forcibly turned into a vassal for the Ottomans, so he was truly relieved to betray the garrisoned Turks to the Crusaders. On September 12th, the Crusaders reached the fortress of Nicopolis. They besieged it, but since they lacked any siege weapons, their tactics were to exhaust and starve the enemies behind the walls. Some dozen days later, they received disturbing news. The forces of Sultan Bayezid were closing, and a battle would soon soak the land with blood. The French knights, just as before, insisted on meeting the enemy on the battlefield. They were determined to be the first to engage the infidels. We could yet again note that the inexperienced French knights with their dreams of honor and glory, saw no real threat. They were blinded by their own marvelous appearance. For them, the Ottomans were easy prey. Savages, who stood no chance against the shining knights in armor. And we could also conclude that this behavior and blindness to the truth was one of the main reasons the Crusade failed. The pompous carnival’s main disadvantage was that not one of the allies took it seriously. They forgot the common interest they shared in stopping the Ottoman Empire. On September 25th, 1396, the two forces clashed. Lines of Knights made up the center, and the Hungarian and Vlach cavalries were deployed on the flanks. The Crusaders were ready to meet their mortal enemy. The Ottomans also deployed their forces in several subsequent lines. The first row was of Janissaries, followed by a Rumelian cavalry. The flanks were of Anatolian horseback warriors. Bayezid suspected that the knights would be eager to attack first and ordered the front rows to take a defensive stance and build a row of stakes to impale the cavalry. As expected, the brave knights launched an attack and charged to the center. Unfortunately for them, when they closed and saw the stakes, they had to abandon the horses and continue on foot. The Janissaries managed to withstand the attack of their armored attackers long enough, and Bayezid sent his cavalry to round the confused French knights. They were slaughtered. The famous ones were captured for ransom, and whoever did not manage to retreat was killed. The Ottoman cavalry charged the Hungarians, who were abandoned by their Vlach allies. Sigismund himself escaped to the nearest town where some Venetian galleys were anchored. The Hungarian army surrendered. The aristocrats were traded for ransoms and the prisoners were sold into slavery. Some drowned in the Danube while fleeing, and some died on the way home. Only a few ever managed to return home to Hungary. 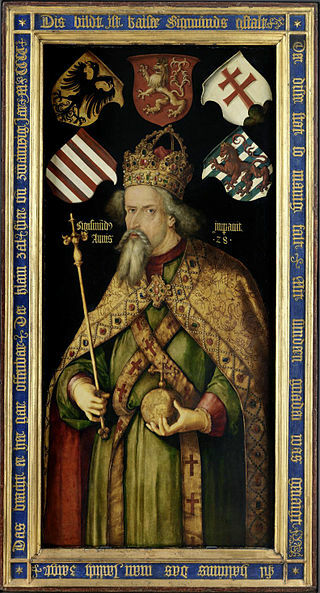 King Sigismund returned home alive after traveling by sea for some time. King Charles learned about the defeat, sometime around Christmas. The French Knights lost their appetite for Crusades. The Bulgarians lost all hope of repelling the Ottomans and by the end of 1396 their last kingdom fell, and the Bulgarian Empire ceased to exist for five centuries. Until the middle of the 15th century, no attempts were made to stop the Ottoman expansion. The following capture of Bayezid by Tamerlane in 1402 disabled the Ottoman Empire for a bit, so it gave a chance for the Hungarians to reorganize. But they were again defeated at Varna. 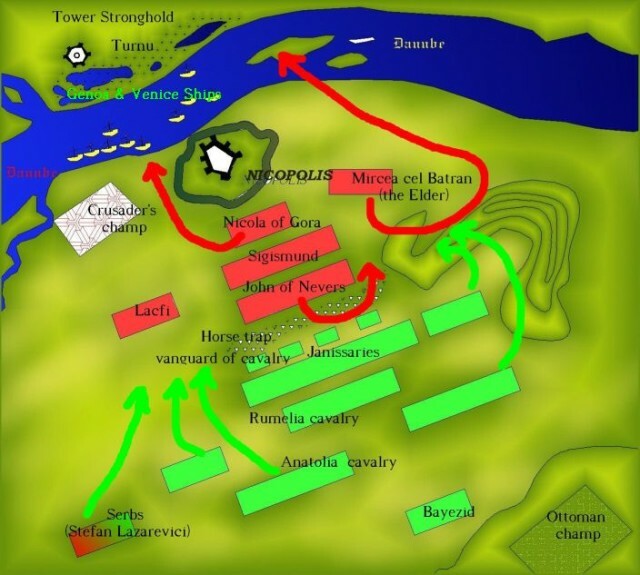 The victory at Nicopolis, in reality, opened the Penninsula and Europe to the Ottomans. It discouraged any desire for unification against the common enemy. After they took Constantinople in 1453, the Ottoman Empire turned into the greatest threat to Central Europe.